MsDora, former teacher and Certified Christian Counselor, explores attitudes and actions that can help us maintain our mental well-being. 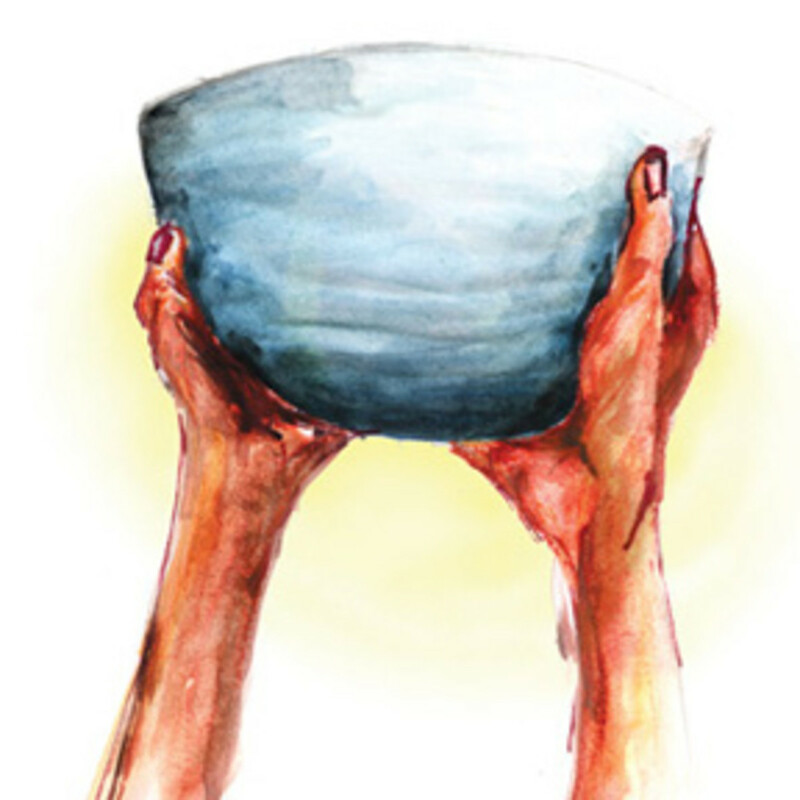 There is a devotional written a long time ago about two artists’ illustration of peace. One painted a scenic lake so serene that in it, the reflection of the beautiful mountains all around it could be clearly seen. Its clear waters also mirrored fluffy white clouds in a sparkling blue sky. The other artist painted rugged mountains beneath a dark rainy sky with streaks of lightning. A gushing waterfall tumbled down the mountainside in front of a rock. On the rock, grew one lone bush on which a bird had made its nest, and settled in perfect peace. The second painting was chosen as the better portrait of peace because, according to the king who gave the assignment, peace is not the absence of danger; it is the state of being calm in the midst of it. 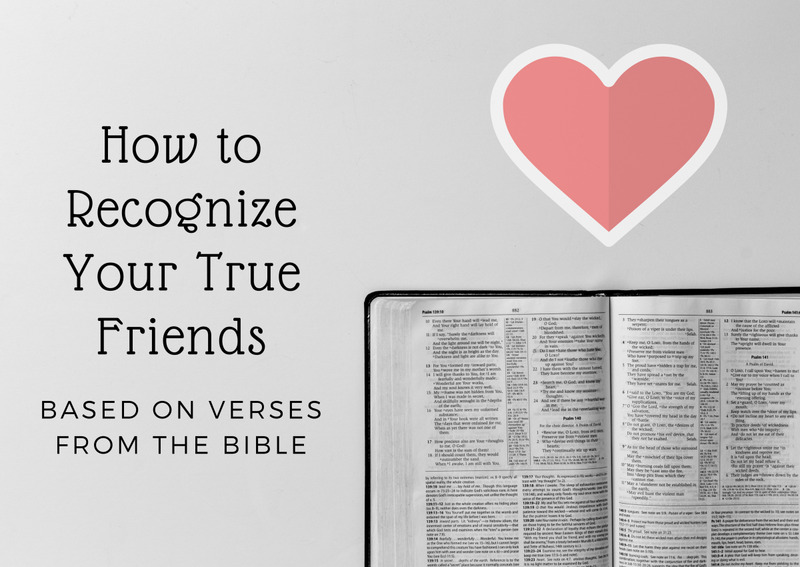 The following quotes from the New Living Translation of the Bible help us adopt this healthy attitude toward peace within ourselves, and in our everyday interactions with others. They present principles and encourage habits which facilitate peace in our lives. Submit to God, and you will have peace; then things will go well for you (Job 22:21). People who wink at wrong cause trouble, but a bold reproof promotes peace (Proverbs 10:10). When people’s lives please the Lord, even their enemies are at peace with them (Proverbs 16:7). And let the peace that comes from Christ rule in your hearts. For as members of one body you are called to live in peace. And always be thankful (Colossians 3:15). Pray this way for kings and all who are in authority so that we can live peaceful and quiet lives marked by godliness and dignity (1 Timothy 2:2). Plant seeds of peace and reap a harvest of righteousness (James 3:18). Righteousness will bring peace. Yes, it will bring quietness and confidence forever (Isaiah 32:17). Be joyful. Grow to maturity. Encourage each other. Live in harmony and peace. Then the God of love and peace will be with you (2 Corinthians 13:11). Above all, clothe yourselves with love, which binds us all together in perfect harmony (Colossians 3:14). Do all that you can to live in peace with everyone (Romans 12:18). So letting your sinful nature control your mind leads to death. But letting the Spirit control your mind leads to life and peace (Romans 8:6). Make every effort to be found living peaceful lives that are pure and blameless in his sight (2 Peter 3:14). Don’t sin by letting anger control you. Think about it overnight and remain silent (Psalm 4:4). Discipline your children, and they will give you peace of mind and will make your heart glad (Proverbs 29:17). God blesses those who work for peace, for they will be called the children of God (Matthew 5:9). If you follow my decrees and are careful to obey my commands . . . I will give you peace in the land, and you will be able to sleep with no cause for fear (Leviticus 26:3, 6). Those who love your instructions have great peace and do not stumble (Psalm 119: 165). But all who listen to me will live in peace, untroubled by fear of harm (Proverbs 1:33). Oh, that you had listened to my commands! Then you would have had peace flowing like a gentle river and righteousness rolling over you like waves in the sea (Isaiah 48:18). Keep putting into practice all you learned . . . Then the God of peace will be with you (Philippians 4:9). In peace I will lie down and sleep, for you alone, O Lord, will keep me safe (Psalm 4:8). The Lord is my shepherd . . . He lets me rest in green meadows; he leads me beside peaceful streams (Psalm 23:2). The Lord will mediate between peoples . . . Everyone will live in peace and prosperity, enjoying their own grapevines and fig trees, for there will be nothing to fear (Micah 4: 3, 4). The morning light from heaven is about to break upon us, to give light to those who sit in darkness and in the shadow of death, and to guide us to the path of peace (Luke 1: 78. 79). 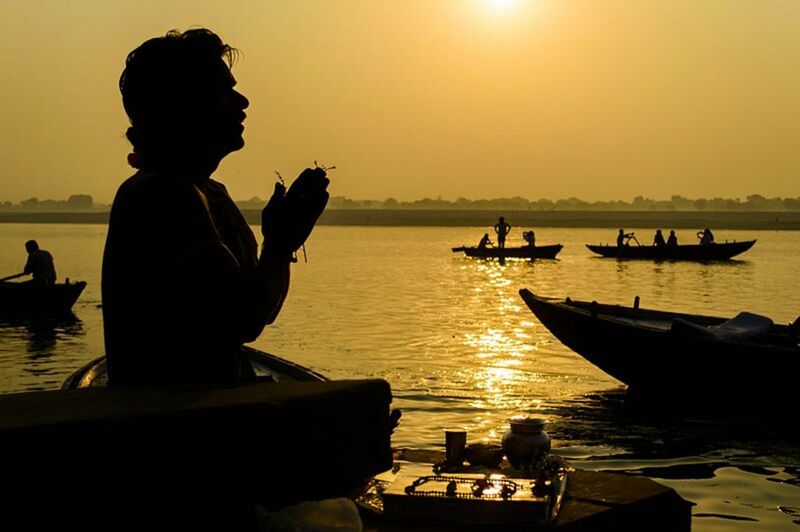 Don’t worry about anything; instead, pray about everything. . . Then you will experience God’s peace, which exceeds anything we can understand. 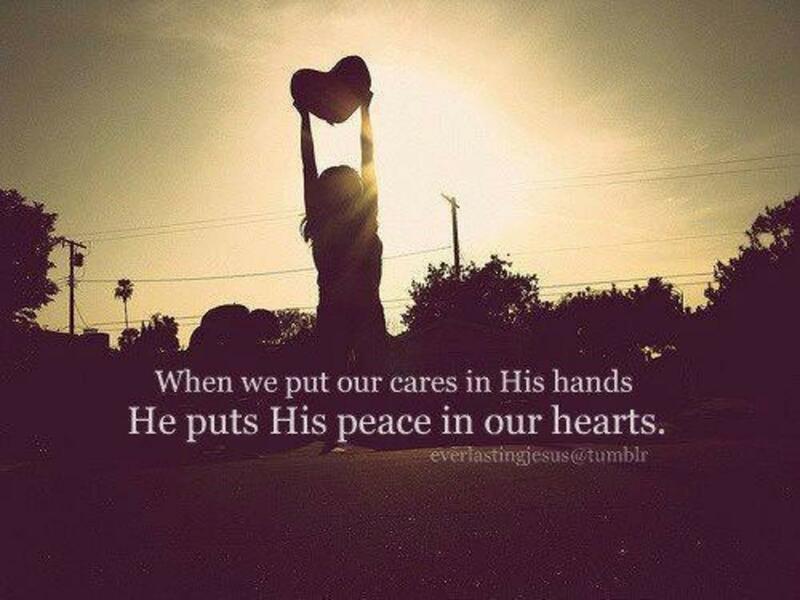 His peace will guard your hearts and minds as you live in Christ Jesus (Philippians 4: 6, 7). May God our Father and the Lord Jesus Christ give you grace and peace (1 Corinthians 1:3). Therefore, since we have been made right in God’s sight by faith, we have peace with God because of what Jesus Christ our Lord has done for us (Romans 5:1). The lowly will possess the land and will live in peace and prosperity (Psalm 37:11). But the wisdom from above is first of all pure. It is also peace loving, gentle at all times, and willing to yield to others (James 3:17). Fools make fun of guilt, but the godly acknowledge it and seek reconciliation (Proverbs 14:9). Always be humble and gentle. Be patient with each other, making allowance for each other’s faults because of your love. Make every effort to keep yourselves united in the Spirit, binding yourselves together with peace (Ephesians 4: 2, 3). What type of peace presents the most difficult challenge? How do I love myself more and how do I find my purpose in this life? Good question. For someone who is dissatisfied with life the way it is, loving yourself and finding your purpose is one worthy combination goal. (1) Believe that God loves you. He loves continually and unconditionally. To love yourself is to accept that He loves you. Read and believe Psalm 103:4. (2) Recognize the talent or skill that makes you happy, and make others happy when you use it. That talent or skill will feature in your purpose. (3) Google "Finding My Purpose" and get some advice. Feel free to ask other questions on anything that needs additional explanation. Thanks, Dolores. I think that anger thrives on anger. I agree with you that "happy people keep peace in their hearts." More peace to you! Hi Dora - thank you for the wonderful messages of peace. With so much anger these days, the quotes here will really come in handy. I know several people who seem to thrive on anger. They feel righteous in it. But it sure seems to me that the happy people keep peace in their hearts. Lawrence, the verse you quoted is very popular and a good favorite. Glad it helped, and thanks for you feedback. Great hub, and just what I needed this morning, thank you. Scott, I appreciate your encouragement. Truly, there is so much unnecessary strife all around us, it helps to nurture our inner peace. Kari, you make me feel useful. Thanks for your feedback. I read every one of the quotes. They provide some comfort reading them the day after the Las Vegas massacre. Thank you for sharing them! This is a beautiful article. It brings me peace just reading it. Thank you. Audrey, danger is around us in may forms. We have to accept God's peace in the midst of it. I really like that illustration, too. Thanks for your feedback. Your opening story about the example of peace hits home to my heart Dora. At first, as I read about the beautiful reflection of the sky and clouds I thought "Yes. This is peace." But after reading the second example I realized the great truth, "peace is not the absence of danger". DDE, you seem to have a knack of living peacefully with others, so I trust your judgment. Peace is refreshing and empowering. Greatly opened with a wonderful topic. Peace is not always found with people. Peace with others is a challenge and not something I would want to get into with certain individuals. Thanks, Tamara. Peace is a beautiful topic and every sane person I know desires it. Glad you enjoyed it. A lovely post, Dora. I really enjoyed reading this beauty. 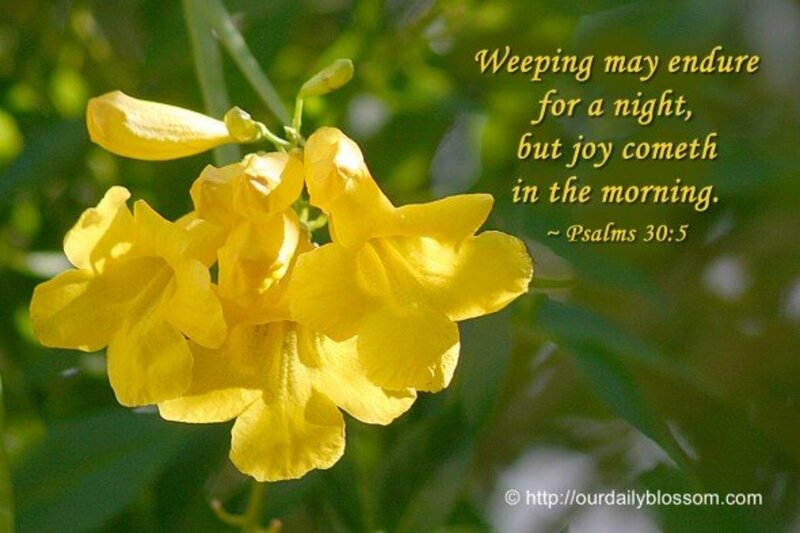 Honey, how blessed you are to experience an assurance of God's peace! Thank you for sharing such a positive message. For as far back as I can remember I have felt an inner peace that I think surpasses any that the average person feels. I have always felt a connection or closeness to God even though I am not very religious. I am spiritual. I have always loved the psalms and proverbs though. Thanks for sharing these. 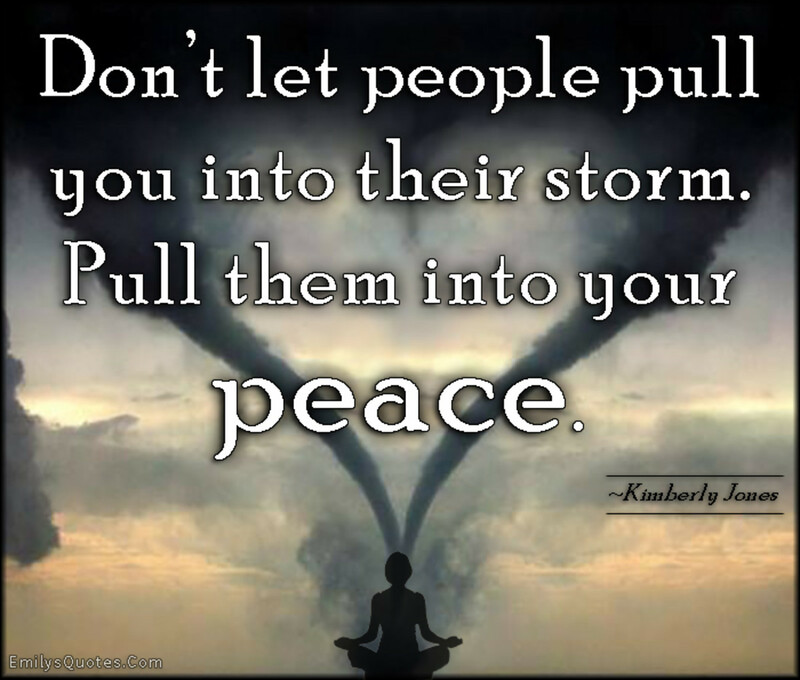 I especially love the message in your photo to not allow people to pull you into their storm but to pull them into your peace. I will make an extra effort to follow that rule whenever the opportunity presents itself. Denise, thanks for your views on the value of peace. I like your insight. Peace is a valuable commodity, one that I do not come by easily. The older I get, however, the more I value having it, and do my best to take those steps that will bring it into my life. Being square with God is a big part of that. Being true to myself is next. After that, I do my best to help others find their true selves. Then, I feel at peace. Bill, inner peace makes such a difference in our approach to life and in our dealings with others. "Peace, peace, sweet peace--Wonderful gift from above." Thanks for your kind thoughts. That's a pretty thorough study on peace, Dora. There's really no reason why we can't experience it regularly, yet I know of ones who have tried for years to find it. I like the king's definition of peace you mentioned in the beginning. Thank you, Dora. Mary, in order for some people to get to their peace, they must deal with some stuff they would rather avoid. They may keep themselves distracted by creating turmoil for other people. Don't buy into their confusion. Thanks for sharing. Although I feel like a peaceful person, it seems many people don't want me to be. It is exactly like the image you have here, they try and pull you into their drama. It is almost as if people don't want to feel at peace. It is a concept I just can't understand. I think the media plays a big part in keeping people on edge and in fear. How much more productive and free would we feel without the fear which is constantly spouted on the news? 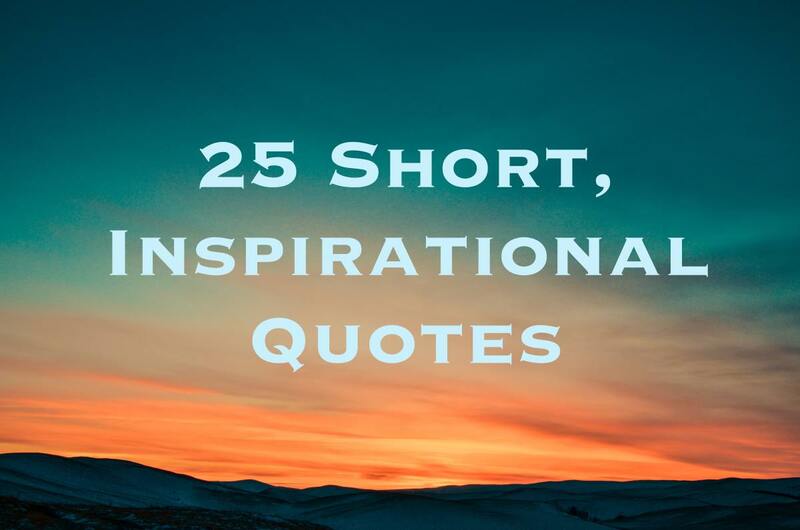 This is a very inspirational list, which I will refer back to. Bill, war and hate must come from a demonic source; and some people give residence to that negative spirit. They give what they have. I pray not to be one of them. It is far better to maintain connectedness with the God of love and peace. Thanks for the push. So much hate in the world. Where does that come from, Dora? It's such a foreign concept to me that I can't imagine living a life like that, can you? Lori, that's a good message God's sending you. God surely loves you. I do too. Thanks, Linda. Being at peace is so restful and energizing. We all need it. Thanks Flourish. You're wearing such a peaceful smile in your profile picture. It helps. Chitrangada, thanks for expressing the message of this article so well. I appreciate your contribution. Thanks for your input, Jackie. 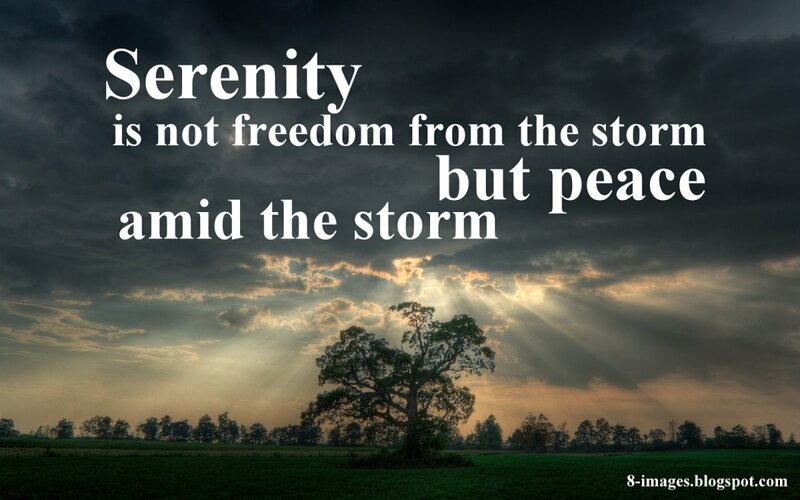 I agree that it is a challenge keeping calm when the storm comes from a source you cannot control. At such times, we do well to focus on the Source of Peace. Eric, thanks for your love and your much-appreciated support. Your kind sentiments encourage me. This is not the first message I've hear lately about peace with God through obedience. I guess the Lord is trying to tell me something. These were wonderful Scriptures on peace. The goal of seeking inner peace in the midst of trouble is very important. I expect that this article will help a lot of people. Given all that is going on in today's world seeking peace within oneself is as important as it it to seek it with others. Very relevant. What a motivational hub ! I am already feeling peaceful. I believe it's important to nurture peace within ourselves. There can be so many things to disturb or distract us, others can let you down and so on. But if we practice to keep ourselves calm and peaceful with deep belief in the Almighty, nothing can harm or ruin us. That should be the outcome of true prayers. Thanks for sharing this wonderful inspirational hub! This would be a great piece to copy and save to look at often. Voted in your poll, with others would be hardest for me hands down. I too love a storm and feel comforted and can sleep right through them but have to admit we have no scary ones to cause danger. God bless on another great work. And in this I find much compassion that does not come from my favorite place of intellect but from His place and that is very good for me. My Love would be that others love you. Dora there is reserved a place in the good of my heart for you, I beg thee to keep if full.